Are You A Landscaper, Looking To Better your Business Prospects? Get Merchant Cash Advance From UsToday! There are several landscaping companies all across the country. These commercial landscapers beautify the buildings and even homes, making them look explicitly beautiful and elegant. The first thing that anyone notices when one enters an office complex and even a residential area, is the landscaping. The gardens are laid out beautifully with the perfectly suited plants that add more beauty and aesthetics to the entire building. Commercial Landscapers have a great role in creating exquisite aesthetic spaces. If you are also a landscaper, you know what all goes into the business. You have to know a good lot of things in horticulture, floriculture, and also a little bit of commercial architecture and Industrial design. There are a good deal of elements that go into creating wonderful landscapes. Plants, Stones, Timber / Wood, Vegetation, Water, Bricks, Glass, Lighting, Metal etc. are some of the various elements that are used in landscaping. Apart from these, basic lawn care and maintenance are also to be taken care of. All of this requires some good funding. And to keep the business going, there are times when you need that little extra business funding. So, what is your source? Do commercial banks provide loans without collateral? Maybe not. But there is an alternative funding solution, called the Merchant Cash Advance that comes to your aid. In fact, people in the construction side, like Construction Companies, Contractors, and Landscapers are all eligible and qualify easily for the Merchant cash advance and Business funding. What is Merchant Cash Advance (MCA)? How is it useful to construction companies and landscapers? A Merchant Cash Advance is a cash advance where your business is funded by the Merchant cash advance provider. It is not a loan. Instead, the MCA provider purchases a portion of your company’s future credit card or debit card sales and then the repayment is a fixed percentage of credit card/ debit card transactions. This happens until the amount taken as cash advance is repaid back. This is a kind of unsecured business loan, with no collaterals involved. And the good thing here is the credit history and the credit scores are not given too much importance. 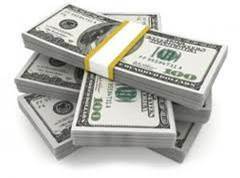 So, even if you have bad credit or you have high NSFs, you are qualified to get a business cash advance. The working capital needs of a landscaping business are a lot. Not many can understand this. But the fact remains that all the different elements that go into making that beautiful landscape require some decent working capital. There are also times when there is a requirement of purchase of new equipment or even hiring new staff, as the business grows. In these above-mentioned scenarios, the best possible option is the Merchant cash advance for landscapers. Even construction companies and contractors can make use of this form of cash advance for improving their business and cash flow. The approval rate is very high. No fixed monthly payments to be made. Business can become more profitable, as cash flow can be increased. You can pay as you grow. It is very easy to qualify for merchant cash advances. Most of the small businesses qualify, having decent amount credit card sales. And any emergency working capital requirements. This form of business funding is good for landscapers, contractors and construction companies, as the access to working capital, is very quick. Unlike the commercial loans that take many days to get approved, this form of funding takes very less time. Even though you will have to pay a little higher interest, when compared to banks, the repayment terms are very flexible. This also allows you to concentrate on growing your business and improving the cash flow. You need not worry about the fixed monthly payments to be made. All the payments are made as per your sales. So, if your sales are good, then the repayments are more. But if the sales are not too good, then also there is nothing to worry. The percentage will be based on the sales on that particular day. This kind of flexibility is not present with the traditional banks. We understand your business needs. You can avail a business funding and merchant cash advance and get all the benefits of easy processing and faster approval rates and better repayment options. You can also get a 2nd position, 3rd position, 4th position and even 5th position funding. We understand your funding needs as a landscaper. Get in touch with us to get the best deal!